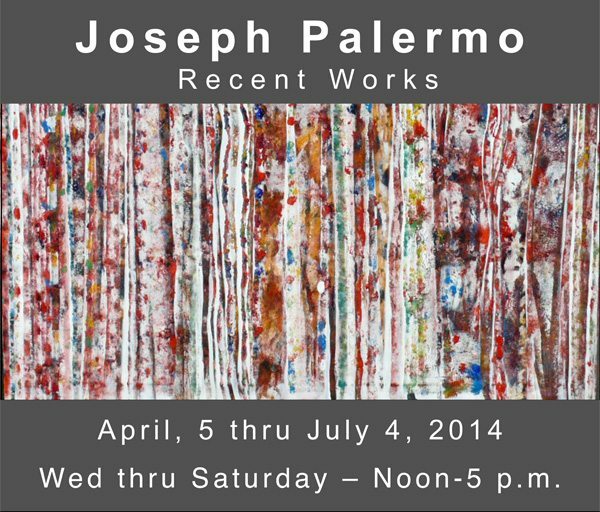 Joseph Palermo was internationally acclaimed for his versatile paintings and sculptures. A longtime resident of Las Vegas, he was the former executive director of the Las Vegas Art Museum and, at the time of his death, was the executive director of the Southern Nevada Museum of Fine Art, which introduced international artists to the glittering mass of downtown Las Vegas tourists while providing the local community with the opportunity to experience a wide variety of art. Raised in Pittsburgh, Palermo was a professional boxer and served in the Marine Corps during the Vietnam War. He studied art in Paris and Spain and had a studio in Madrid for 10 years in the 1970s. There, he gained hands-on experience with the great 20th century master, Joan Miro, whose influence is very prevalent in Palermo’s paintings. In Las Vegas, Palermo, brought the community wonderful exhibitions including Dali, Marc Chagall, Asian 2000, Guccione. Chihully and “Las Vegas Collects,” a $25-million exhibit owned by a handful of prominent local collectors such as Jerry and Lottie Polis and ARTV. Palermo is the only recipient to have received two ARTV “MUSE “ awards — one for Printmaking and the other for being voted the 2005 Artist of the Year. His piece “Jammin” garnered a gold medal award in Spain in 1976 and that image has been recreated in unique linocuts, silk screens and lithographs.